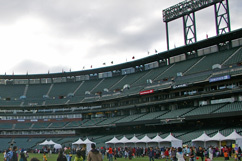 AT&T Park / San Francisco Giants Baseball Stadium -- Held Sunday, November 6, 2011. .
are part of the fun. 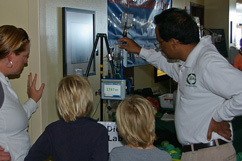 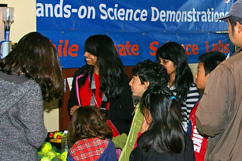 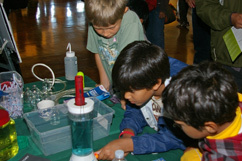 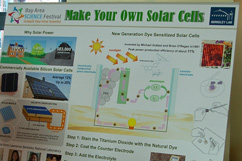 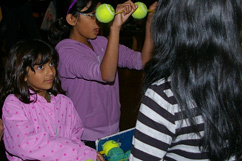 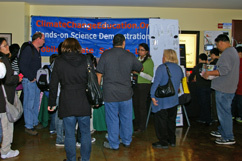 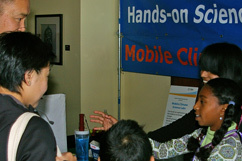 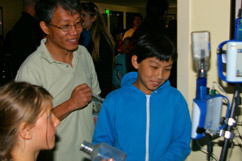 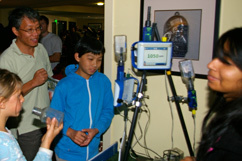 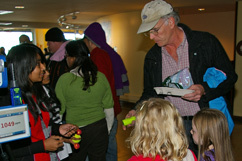 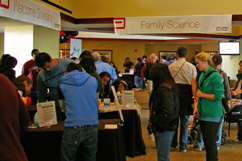 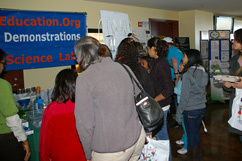 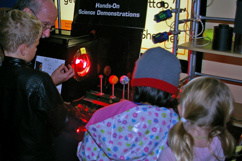 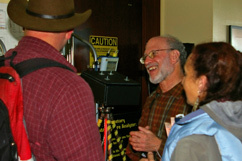 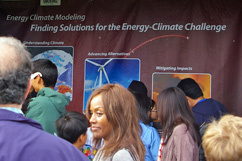 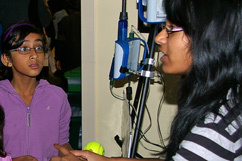 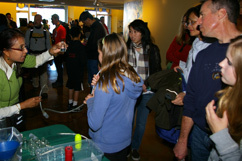 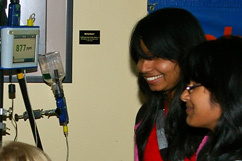 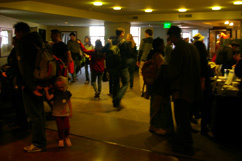 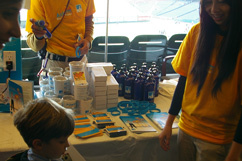 a celebration and showcase of Bay Area hands-on science. 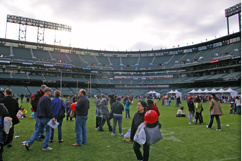 Over 20,000 attended the baseball stadium event. 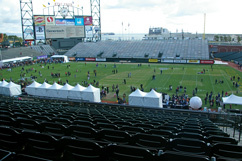 Over 70,000 for the festival overall. 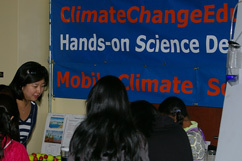 As a year round hands-on science program, engaging 100,000's annually, the Mobile Climate Science Labs were proud to be part of BASF. 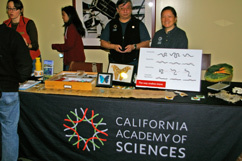 Thank you, Bay Area Science Festival! 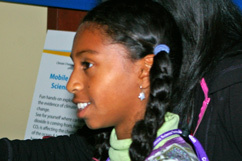 Amanda W. , 10 year old Oakland Public Schools student. 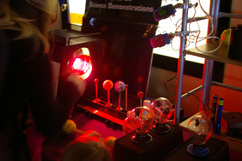 Science teacher for thousands. 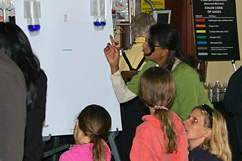 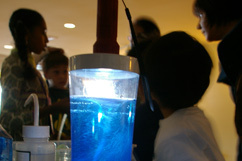 • Students are given the opportunity to lead the public in hands-on science discovery. 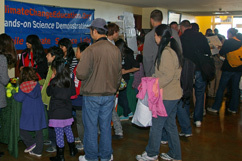 As educators, involving thousands more, young and old. 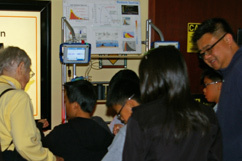 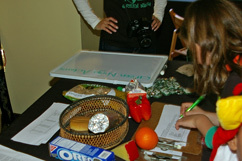 • Local K-12 teachers get real world experience in hands-on teaching, in our very supportive lab environment. 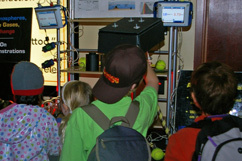 Happening even during BASF! 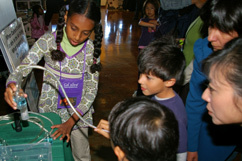 at a time when experiential, involving science programs are being discouraged and closed, especially in disadvantaged communities. 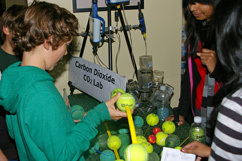 How changes in carbon dioxide levels in the atmosphere alter the chemistry of the oceans. 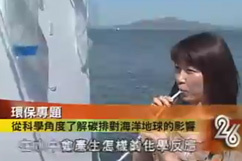 Fun, dramatic. 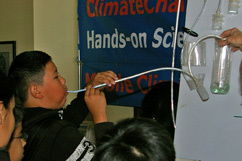 Greater CO2 levels lower the pH. 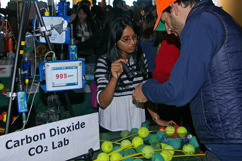 Comparing sources of carbon dioxide. 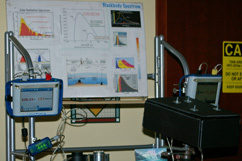 Relationship to human health and blood chemistry. 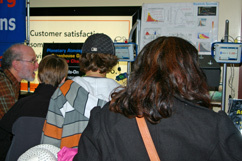 Popular exhibit on power consumption. 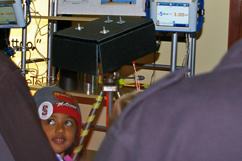 3D Multimedia. 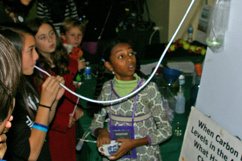 Energy mix simulation/game.